Vladislav Semin is a Russian freelancer who is specialised in concept art and character design. 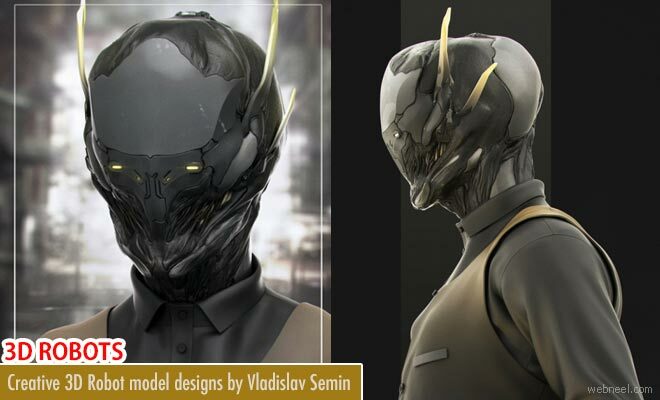 He prefers to use photoshop, zbrush, keyshot, DAZstudio and marvelous designer for developing his art works. Vladislav's works show his expertise knowledge in physical and logical topology which is highly essential for certain transformations, as bending or stretching. To create human and non-human figures for his illustrations he used DAZstudio. His works are brilliant nexus of Imagination and practical reality by which he achieves high-end results. Vladislav says,"Additional knowledge in software only to help achieve high-quality results in a certain part of the work. But.. I would recommend to learn as much as possible the software while you can".